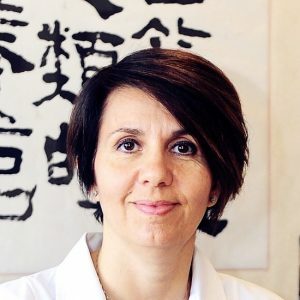 With 20 years of experience in Italy and China and continuous education, Dr. Sara Laudani has extensive knowledge of internal medicine, functional medicine and nutrition. As a general practitioner, she specializes in diagnosing and treating severe chronic illnesses, ENT conditions, skin diseases and dysfunction of the nervous system and reproductive organs. Additionally, Sara offers functional medicine consultations for a wide range of health issues, including chronic illnesses, PMS, menopause, infertility, fatigue, mood disorders, anxiety and sleep difficulties. She designs tailored natural healing programs based on whole food supplements, bio-identical hormones, diet and lifestyle modifications to restore the body to optimal functioning. Sara also specializes in nutritional counselling based on functional medicine principles. She helps patients suffering from chronic diseases and digestive issues (irritable bowel syndrome, heartburn, inflammation, food allergies, leaky gut syndrome) improve their health through nutritional changes.